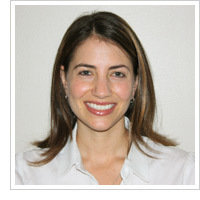 Dr. Carey Linden joined Warren Allergy & Asthma Care in 2010. She attended Medical School at the University of Michigan. Following a residency in Pediatrics from the University of Chicago, she returned to the Detroit area to do her fellowship in Pediatric and Adult Allergy and Clinical Immunology at Henry Ford Hospital. She is board certified by the American Board of Pediatrics and the American Board of Allergy, Asthma & Immunology. She is on staff at St. John Macomb Hospital and William Beaumont Hospital. She treats patients of all ages for hay fever, asthma, eczema, food allergies, recurrent infections, sinus problems and hives and has a special interest in allergic rashes.